If you would like to donate to Angels for Orphans in order to help our partner organisations and improve the lives of the children in their care please contact us. 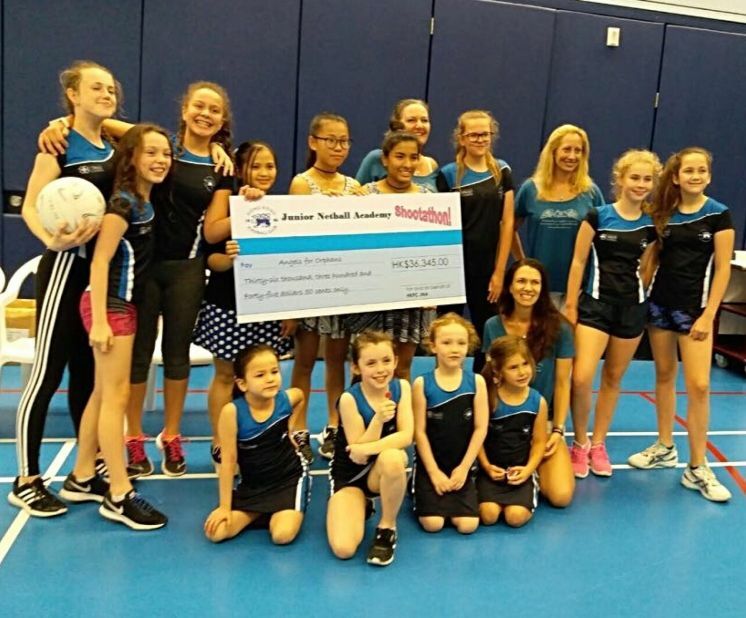 HKFC Junior Netball girls proudly present a cheque to representative Angels and students from Po Leung Kuk. Join us for an exclusive feast at Rhodia - in the company of the indomitable Geraldine Cox. Want to be Santa Claus this Christmas? 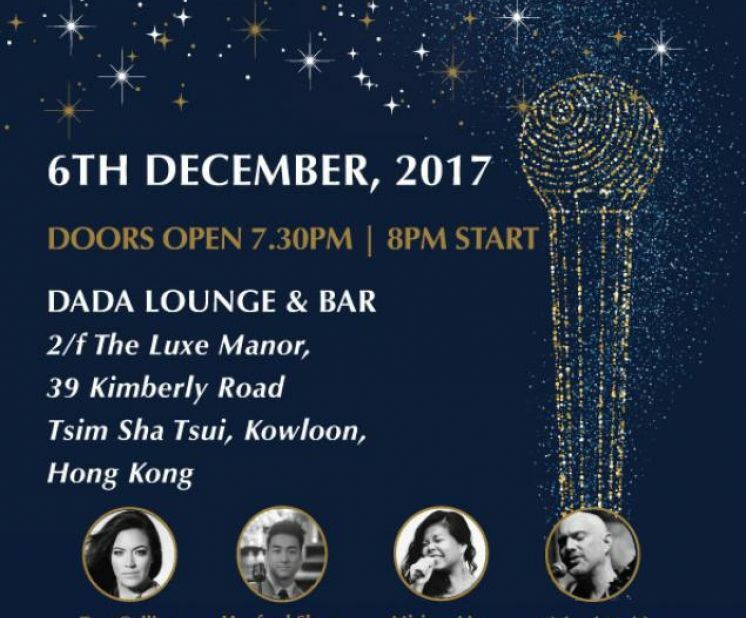 Can you help the Angels this year in providing over 300 presents for underprivileged children living in Hong Kong, aged from 3 to 18? 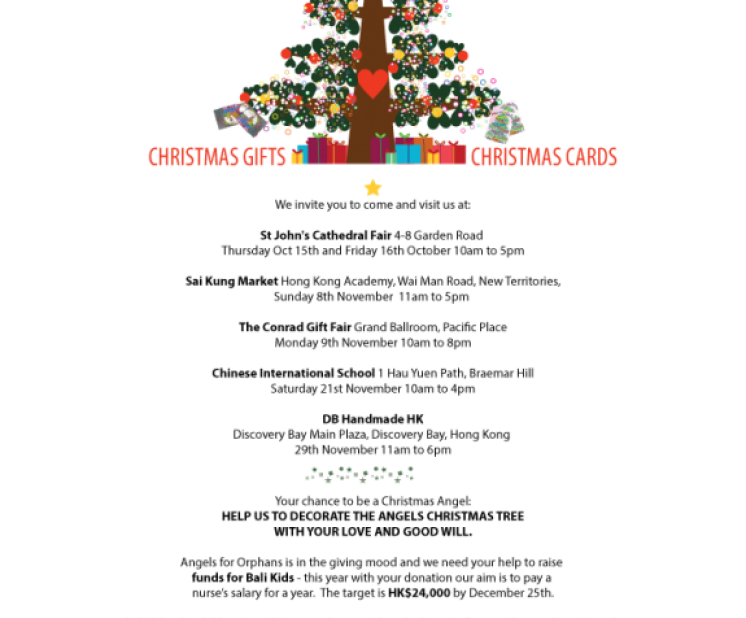 COME AND VISIT ANGELS FOR ORPHANS: THE CHRISTMAS FAIRS BEGIN!!! St. John's Cathedral Fair 4-8 Garden Road. Four hours of zumba & partying with the angels. 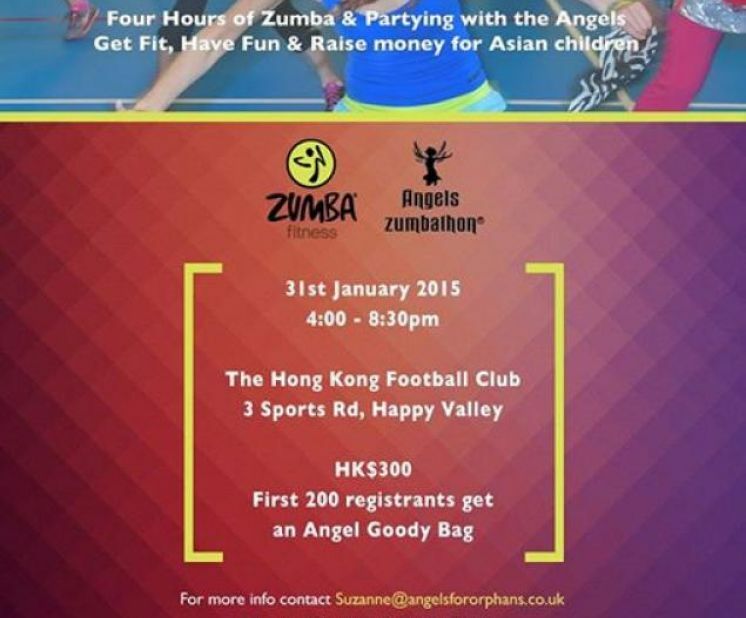 Get fit, have fun & raise money for Asian children. 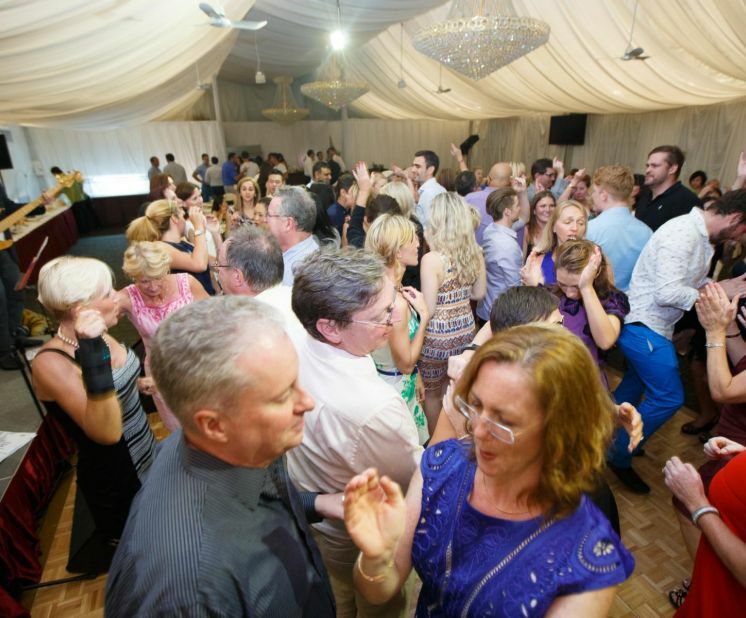 At the end of September, Angels for Orphans together with USRC Tigers, celebrated the rugby club’s new affiliation with the United Services Recreation Club with a fantastic evening of dining & dancing. ‘Raising’ our glasses and funds for underprivileged Asian children and ‘Roaring’ into the new sports season! Without doubt our three visits in five days were inspiring, my children passing on the rainbow loom craze as part of their mini-legacy, making friends of all ages and understanding that giving is infinitely more rewarding than receiving. 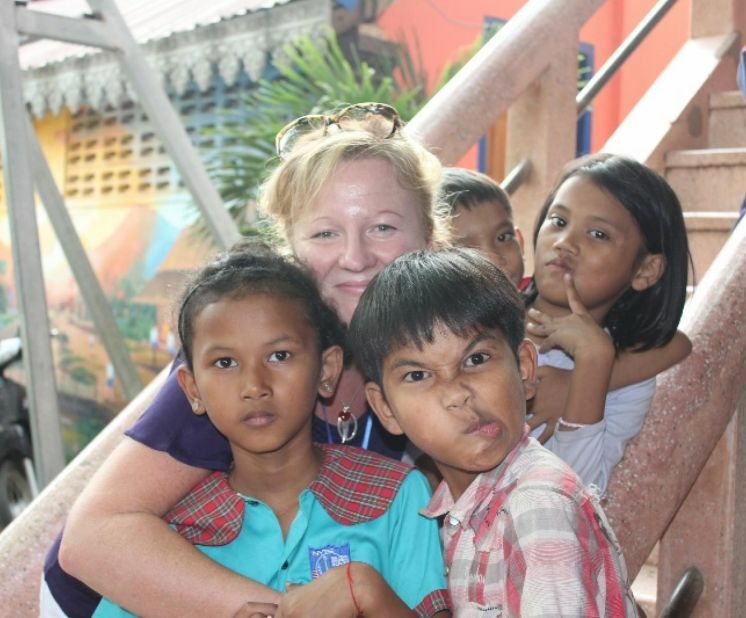 One of the highlights of 2014 for me so far was a visit to Sunrise Angkor Children’s Village in Siem Reap (Sunrise 2). 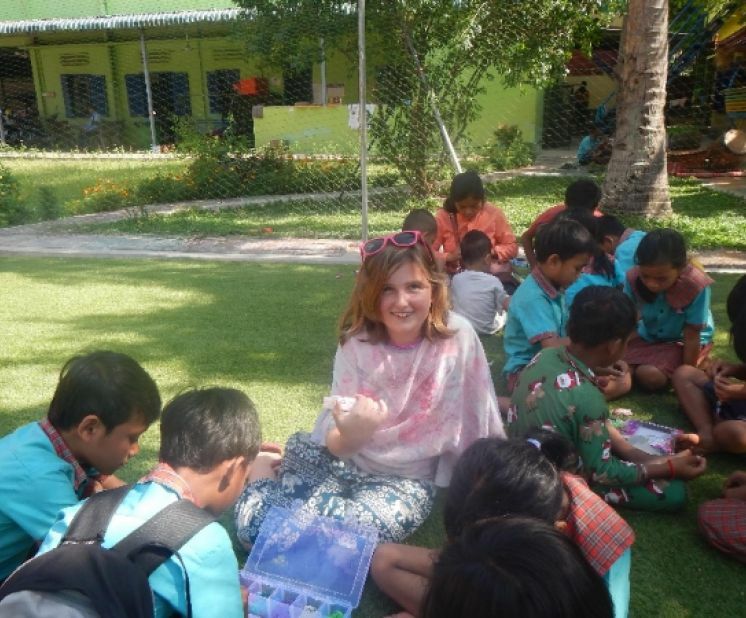 I had never been to Cambodia before so when a friend of mine said she would be travelling there on a sightseeing trip, I jumped at the opportunity of joining her, to visit the famous Angkor Wat and surrounding temples and to spend an afternoon with the delightful boys and girls at Sunrise 2.